The phasing out of passwords | Computer Tech Tips For Everyone! Like keys to your home are used daily but many folks rarely pay much attention to them until they lose them, or they land onto the wrong hands. The world was abuzz some months past when inappropriate photos of famous celebrities were leaked online for the entire world to see. What this taught those who are keen on learning from such experiences is that most of us might be rather careless with our passwords. The world of technology is developing faster than most of us can keep up with. The social networks are now increasing in diversity and number. These platforms all require that one has a password for each account. This is further compounded that the number of devices and systems that we use has risen, and most of these devices all require password protection. So what then are we to do? 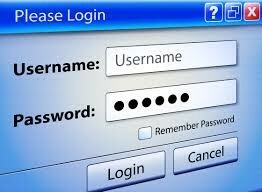 Most individuals just use a single password for all accounts. This is both ill-advised and dangerous. Once a single account is hacked it places all other accounts with the same password at risk of attack. Therefore most computer specialists advise a separate password for every account. Now that sounds tougher for those with many active social networks. With many passwords to recall, the stress can sometimes overwhelm your memory. While most platforms still make it possible to recover forgotten passwords, the work involved in recovering such passwords is usually rather inconvenient and time consuming. This is why you can get an encrypted notepad or password manager to assist in managing of your passwords. There are some excellent applications for managing your passwords. Though it is always wise not write down your passwords, most such managers store your passwords in written form. However, premium password managers offer some level of encryption of your passwords. What happens if accidentally someone hacks into your password manager? All your accounts are inevitable exposed. 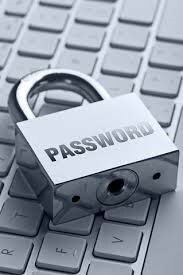 2015 brings fresh life to password management as impressive alternatives to passwords have been developed to either replace or complement the security provided by passwords. Some of these alternatives have been used in development of high-end devices like phones, tablets and computers. They are effective at preventing unauthorized entry no only to your device but to your personal accounts. Fingerprints are probably the most exploited biometric form of authorization. Some of the high-end smartphone and tablets in the market are fingerprint sensitive, and their operation is restricted to by fingerprint biometrics. In such devices, you are either asked to input your fingerprint and password or the fingerprint alone suffices to grant entry. Other biometrics authentication platforms use iris scanning and heartbeat monitoring. In this form of authentication, users are given unique data combination to allow then entry into a website or account. This could be a sound or image to your device or computer. This, when combined to passwords, affords an extra layer of security. This authentication method does not completely eliminate the importance of passwords but rather augments it by adding it to other factors such a QR code scanning or confirmation messages sent to phone or other accounts.